Service Stream is a publicly listed industrial services organisation employing 4400 people across 51 offices around Australia. Service Stream prides itself on its technical capability, providing innovative solutions, including a Web-enabled mobile phone billing system and the Federal Government’s DoNotCall register. In December 2008 Service Stream won a large contract that involved visiting a million residences and collecting data on mobile devices, including photographs, and transmitting and reporting that data to its client. 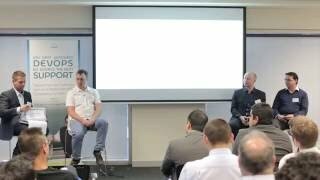 They only had a few weeks to get the solution up and running and were in the middle of a number of other large projects and infrastructure upgrades at the time, including a SAN migration at their data centre. base2Services suggested that the application could be hosted in the cloud using Amazon’s cloud offering as a platform to host the application and store the data. The cloud model proved to be a great solution due to uncertainty regarding the scope of the data collection and the duration of the service. Service Stream did not have to commit its own infrastructure, and as a standalone project, it did not require integration with any of Service Stream’s other systems. "base2Services capabilities with open source and cloud computing significantly reduced the business risk associated with a project of this size in the short timeframe allocated." 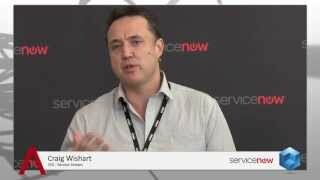 Before his presentation, Craig Wishart spoke to TheCube about what Service Stream has achieved.